One of the greatest divides between the various Protestants denominations and the Catholic faith has historically been Catholic devotion to the world's first Christian, the Blessed Virgin Mary. Nothing symbolizes that devotion more than the Hail Mary. 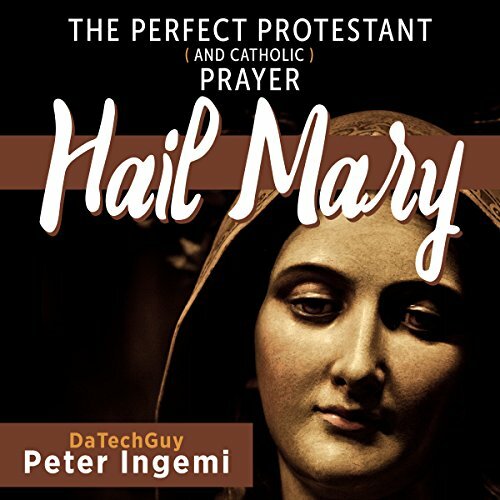 In Hail Mary: the Perfect Protestant (and Catholic) Prayer, radio talk show host, writer, and blogger Peter DaTechGuy Ingemi takes a look at this prayer line by line and makes a biblically based argument that the Hail Mary is the perfect prayer for Protestants and Catholics alike.